I dreaded being a Single Woman in my 30s. I had prayed that I would have the right one sent to me. These questions coupled with my inability find a mate made me feel so NEGATIVE. I started to be annoyed around the holidays because of all the engagement and wedding annoucements that would pop up on my social media timeline. Even in dating, I focused so much on trying to make it work so I wouldn't be alone, that I was accepting behaviors from men that I should not have accepted. All for the sake of wanting to be in a relationship/married. When my 20s started to close, I looked around and saw that I was still single in a world full of couples. Then, dating in your 30s turned into a race to beat the clock and continued negative feedback from people who felt there was something wrong with your or guys who felt you were less valuable because I was older. Until one day I ran into an old friend who had married in her early 20s. She was so proud to be married that she couldn't help but remind us single women that we were..well single. I turned out she had recently divorced her husband and was back on the single scene, just like I was. She wasn't the first woman I ran into who had this story. These were hundreds of women who jumped into relationships because of social pressure and their personal fear of being lonely. In the end, because they didn't take the time to get to know themselves and just enjoy life, they rushed into something that didn't work because they weren't secure in self. It was at that point, that I realized that what's for me, is for me. When it's my time to be in a relationship/marriage, it will happen. But until then, I need to ENJOY the life that I was living right now. Time is of the essence and while we are so focused being sad and lonely on social media, we aren't taking the time to really love who we are. Being single isn't a crime. It is what you make of it. If you focus on all the negatives, you will attract nothing but negativity. If you are so focused on being in a relationship or marriage, you will FAIL to work on yourself so that you can have the tools and mental acuity needed to have a healthy relationship and be a mentally and emotionally healthy partner. 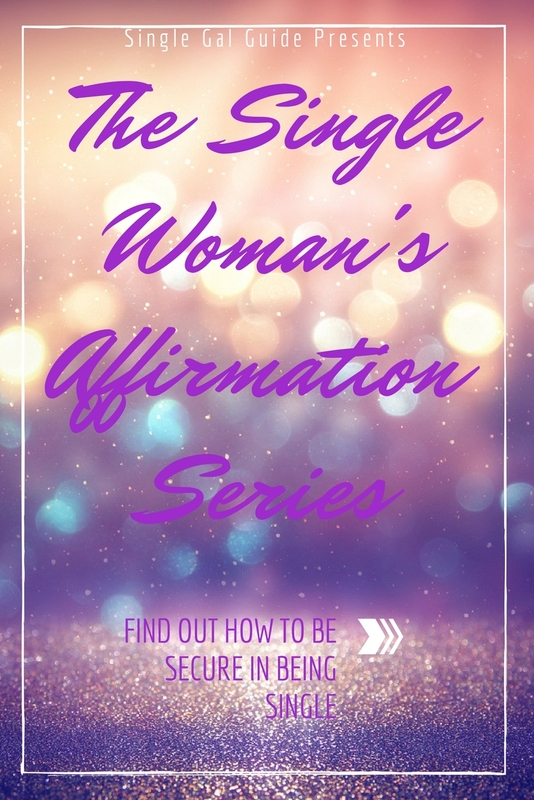 My new 5 video course is designed to help you become more secure in being single and gain a more positive outlook on the life of a Single Gal. Read on and check out the video clip below for a look at what I'll teach you.